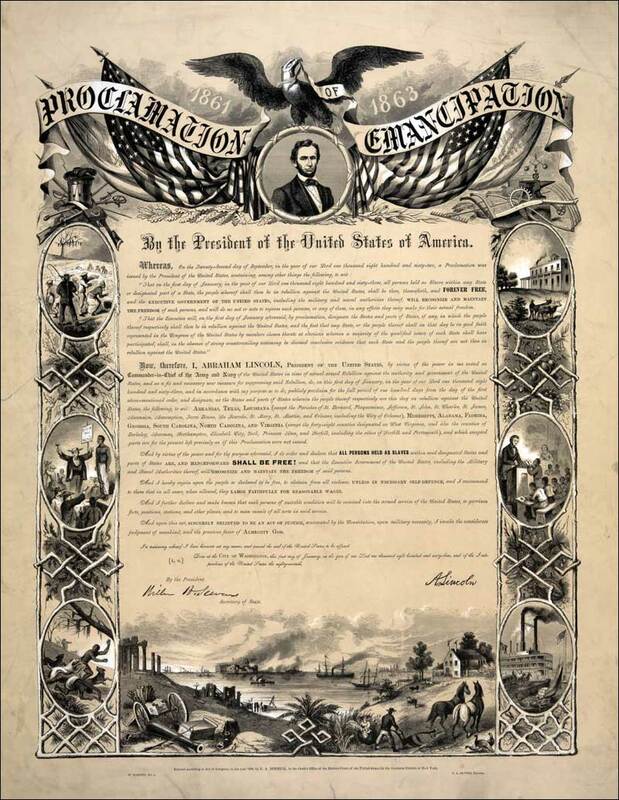 1863 – The Emancipation Proclamation, an executive order issued on January 1, 1863 during the American Civil War by President Abraham Lincoln declared that all slaves held in the 10 rebel states were freed. It resulted in almost four million slaves being freed over the course of the war.Although the Proclamation did not account for any compensation to the slave owners, it was never challenged in court. It was ratified by Congress in February 1063 and it was ratified by the states in December 1865. 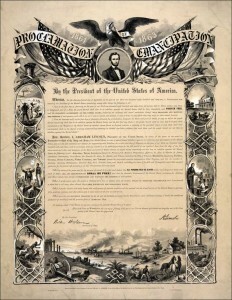 The Proclamation applied only to the ten states in rebellion against the Union. Slavery was outlawed in all of the other slave holding states by other Federal and state legislation. 1997 – Kofi Annan of Ghana becomes first Black Secretary General of the United Nations, replacing Secretary-General, Dr. Boutros Boutros-Ghali of Egypt. He served previously as a Budget Officer for the World Health Organization, an agency of the United Nations and later as the Director of Tourism in Ghana. He served as the Under-Secretary-General of the United Nations before taking on the Secretary-General position, in which he served until December 31, 2006. 1808 – The Act Prohibiting Importation of Slaves of 1807, the federal law prohibiting the importation of African slaves went into effect on January 1, 1808. The act was the results of an effort to bring forward a bill by Vermont Senator Stephen Row Bradley and provided that no slaves would be imported into the United States. The bill was signed into law on March 3, 1807 by President Thomas Jefferson and went into effect on January 1, 1808. 1831 – The Liberator Begins Publishing. The Liberator, an abolitionist newspaper was first published by William Lloyd Garrison on this date in 1831. It was published for 35 years as a weekly publication and was one of the most influential newspaper working to end slavery in the United States.